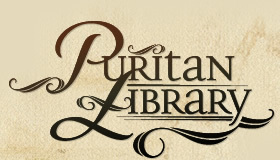 I you want to read many Puritan authors, there is a free online Puritan Library that contains a large selection of Puritan writings, along with links to sites devoted to Puritan authors and writings. Richard Sibbes, John Owen, Thomas Watson, Thomas Brooks, Thomas Boston, John Bunyan, John Flavel, Jonathan Edwards, Stephen Charnock, Thomas Goodwin, Thomas Shepard, William Guthrie, John Robinson, Thomas Manton, Thomas Case, William Bridge, John Ball, John Howe, Richard Baxter, Hugh Binning, Thomas Gouge, Joseph Alleine, William Bates, John Colquhoun, David Clarkson, Richard Steele, John Cotton, Anthony Burgess, Ebenezer Erskine, Jeremiah Burroughs, William Gurnall, Matthew Henry, Thomas Adams, Matthew Mead, Philip Doddridge, Isaac Ambrose, Benjamin Brook, William Perkins, Herman Witsius, Walter Marshall, Henry Bullinger, Edward Reynolds, Ezekiel Hopkins, James Ussher, and Daniel Neal. It seems obvious that Elijah is feeling pretty low, so low in fact that he wants to die. And it seems clear that his depression is due to the terrible circumstances he is in, running for his life from the wrath of the wicked queen Jezebel. But we will discover later in the passage that this wasn't the primary reason for his sorrow. For now, however, let's see how God responds to Elijah's prayer that He would take his life. Instead of taking Elijah's life as he has requested, the LORD preserved his life by providing food and additional rest for the weary prophet. God knew what Elijah really needed was some food and rest, at least for the time being. And this may also be an important factor in helping many depressed people who are struggling with sorrow over stressful or traumatic life events, for often times such people stop sleeping and eating as they should, and this only exacerbates their situation and magnifies their problems. After all, how clearly do any of us really think when we are exhausted and hungry? But this is only a part of God's plan to get Elijah through his trials. It is a temporary aid to help him come to the place he needs to be in order to experience God's presence in a new way and to prepare him to hear what he really needs to hear. 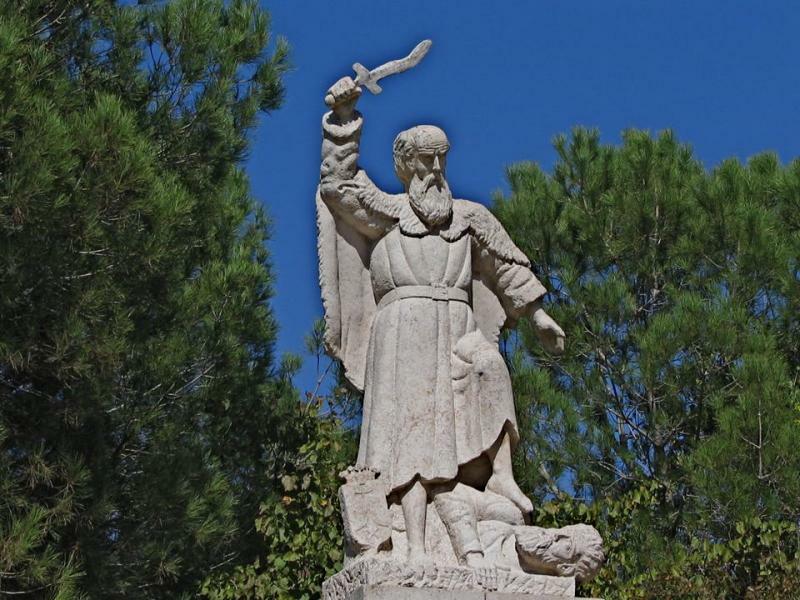 Here we find that the true source of Elijah's depression isn't just that Jezebel was seeking to kill him – if that weren't bad enough – but that, even after the great showdown with the prophets of Baal and Asherah, the people of Israel still didn't repent (at least Elijah doesn't think so). One gets the impression that Elijah had hoped for a great revival that did not materialize. Instead, however, he was left alone among a godless people who had slain all his fellow prophets. But if he was the only prophet left, and they wouldn't listen to him, what hope was there for the people of Israel? Such appear to be the kind of thoughts that plagued Elijah, thoughts of hopelessness and discouragement. But perhaps he also saw himself as a failure, since he had poured his life into serving the people of Israel, even risking his life in the process, only to see no apparent fruit at all. But Elijah still doesn't see the whole picture, as God will point out to him. But Elijah still didn't get the point, as his repetition of his complaint to the LORD demonstrates (vs. 14). He apparently didn't see what he had expected to see from the people of Israel, and this led to his feelings of depression and despair. But even here he seems to have missed what was really happening to some extent, because the author of 1 Kings reported a positive response by the people of Israel to what God had done through Elijah. He expressly stated that, after the fire of the LORD had fallen and consumed Elijah's sacrifice, “when all the people saw it, they fell on their faces; and they said, 'The LORD, He is God! The LORD, He is God! '” (18:39). And then we are informed that the people seized the false prophets when ordered to do so and brought them to Elijah to be executed (18:40). Why, then, does Elijah not see this as a positive development? Why does he think he is the only faithful Israelite left? Perhaps Elijah simply questioned the sincerity of the peoples' earlier response, however, and perhaps he didn't believe Obadiah when he told him about how he had saved one hundred of the LORD's prophets (18:3-13). If so, then he was clearly wrong in his assessment, and God would show him that he was wrong by informing him that there were indeed still some faithful people among the Israelites. Notice that the LORD did two things here in addressing Elijah's depression and discouragement. First, He gave Elijah something else to do. He wasn't going to let Elijah give up and simply wallow in his self-pity. 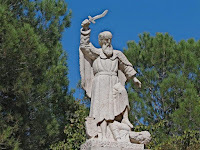 Second, He informed Elijah that he was simply wrong in thinking that he was alone in Israel, since the truth of the matter was that the LORD had reserved seven thousand in Israel who had not bowed the knee to Baal (vs. 18). So we have seen how Elijah's depression was manifested, and we have also seen many of the corresponding issues that often surround depression, such as fear, stress, wanting to die, physical tiredness and lack of sleep, not enough to eat, feeling all alone, self-pity, having a warped perspective and being unable to clearly see the true situation. How many of these things may lead to or accompany our battles with depression? 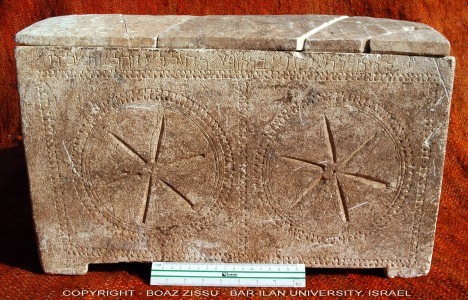 On June 29 the Washington Post reported that Israeli scholars have concluded that the ossuary is indeed genuine. Yesterday Christopher Rollston, Professor of Old Testament and Semitic Studies at Emmanuel Christian Seminary, posted a helpful article assessing the evidence and its importance in further confirming the identity and existence of Caiaphas as High Priest and how this evidence squares nicely with the New Testament references to him. 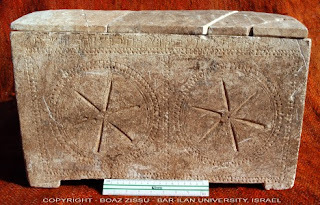 So we have yet another example of how archaeological discoveries continue to support the veracity of the Biblical accounts. But, of course, none of this blog's readers should be at all surprised by this!